I have attached 6 slides that are self-explanatory. 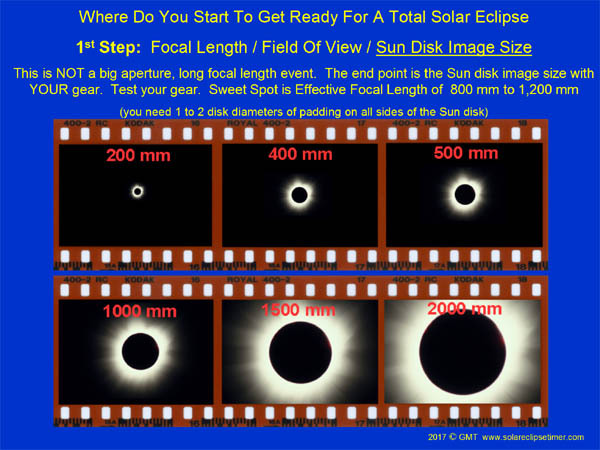 The bottom line is that you must understand that there is a sweet spot for focal length with solar eclipse photography and that is an effective focal length of 800mm to 1,200mm. If you are too short you will have to crop in a lot for corona detail. 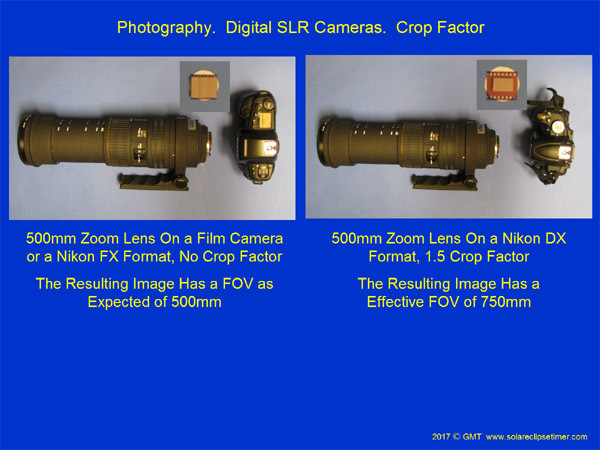 However, today's high megapixel digital cameras will probably allow a lot of cropping without loss of image quality, so 600mm may be fine. If you are too long you will cut off the outer filaments of the corona with the longer shutter speeds (Step 4). Actually, right at about 1,000mm is perfect. 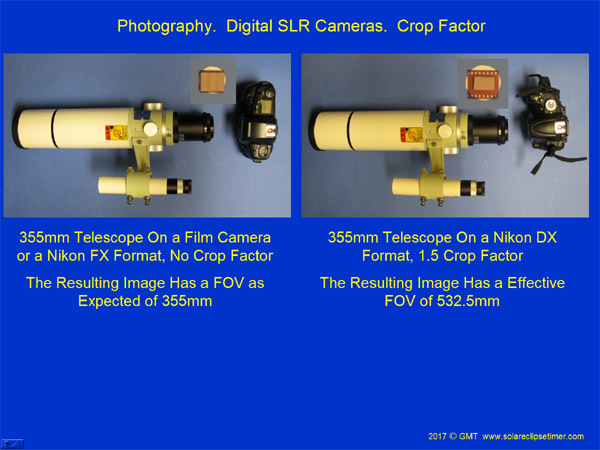 The 1st 4 slides are an overview of the difference between full frame chip digital SLR cameras and small chip digital SLR cameras and the effect on effective focal length. You must understand this about your particular setup. 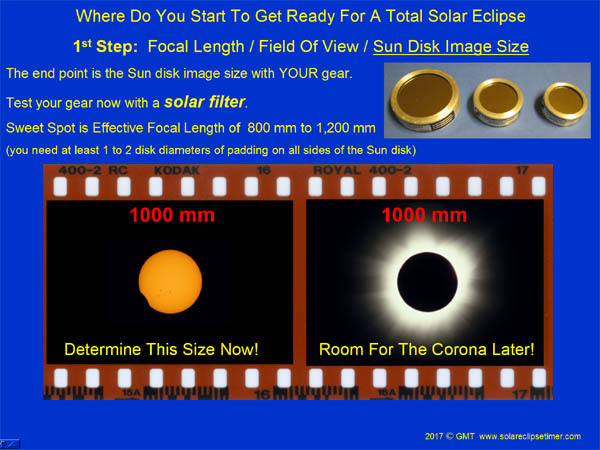 You must practice now, with a solar filter on your gear and determine the Sun disk image size for YOUR setup (slide 6). The 5th and 6th slides are the 1st keys to success. These have one of my totality photographs overlaid on a film image representing some common focal lengths. 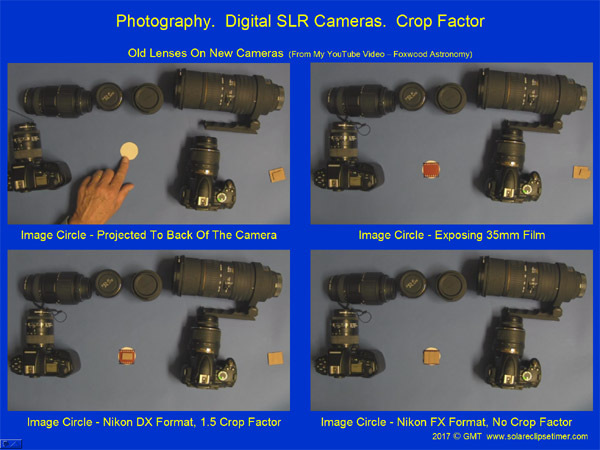 So the point is, it does not matter what glass you will use or what camera you will use (crop factor or not), as long as you will be in the sweet spot for your setup (slide 5).